The Haag laboratory studies variation in animal reproductive mode, which evolves quickly yet has tremendous organismal significance. We explore both the developmental novelties required to allow a new strategy to emerge, and also the various consequences of adopting it. 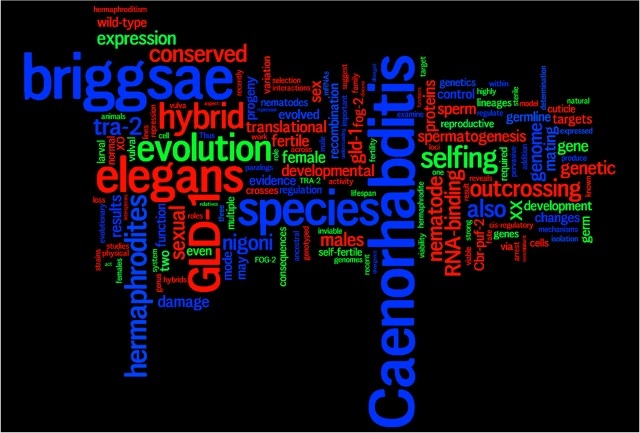 Currently we focus on the evolution of self-fertile hermaphroditism using the model nematode Caenorhabditis elegans. 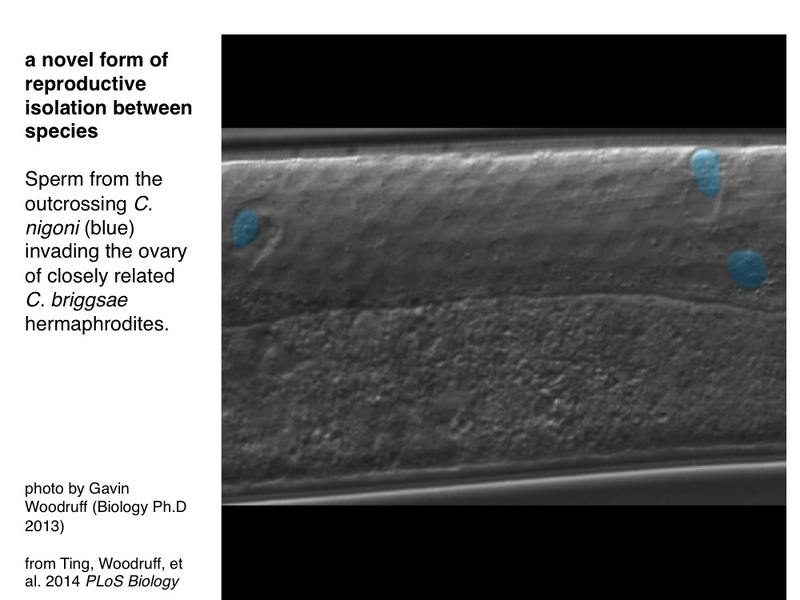 A long-standing project seeks to identify molecular and genetic mechanisms that allowed selfing hermaphrodites to produce sperm in a female body. Independently evolved hermaphrodites also provide interesting case studies in convergent evolution. The genomic and reproductive responses to self-fertility is a newer area of research. Feel free to contact Eric if you are interested in participating in this work. * For UMD undergraduates, please see this page for how to apply. * For prospective graduate students and postdoctoral researchers, please see this page. Ting, J.J., Woodruff, G.C., Leung, G., Shin, N-R, Cutter, A.D., and Haag, E.S. (2014). 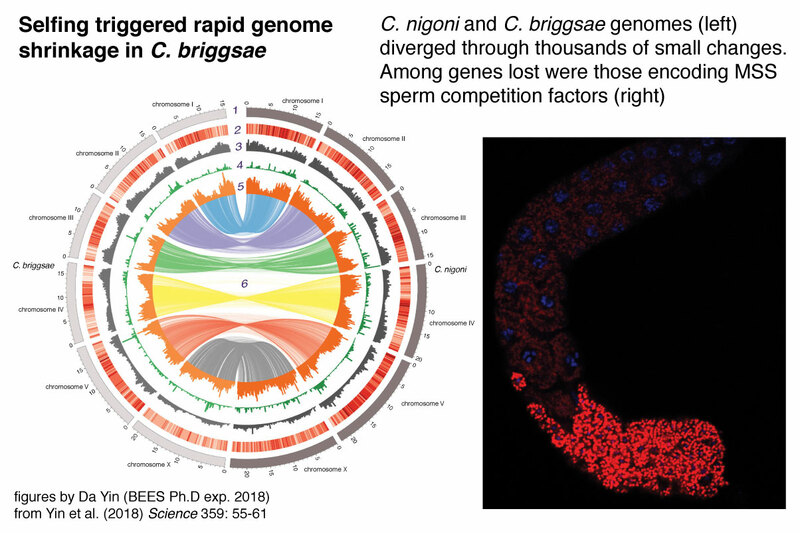 Intense sperm-mediated sexual conflict promotes reproductive isolation in Caenorhabditis nematodes. 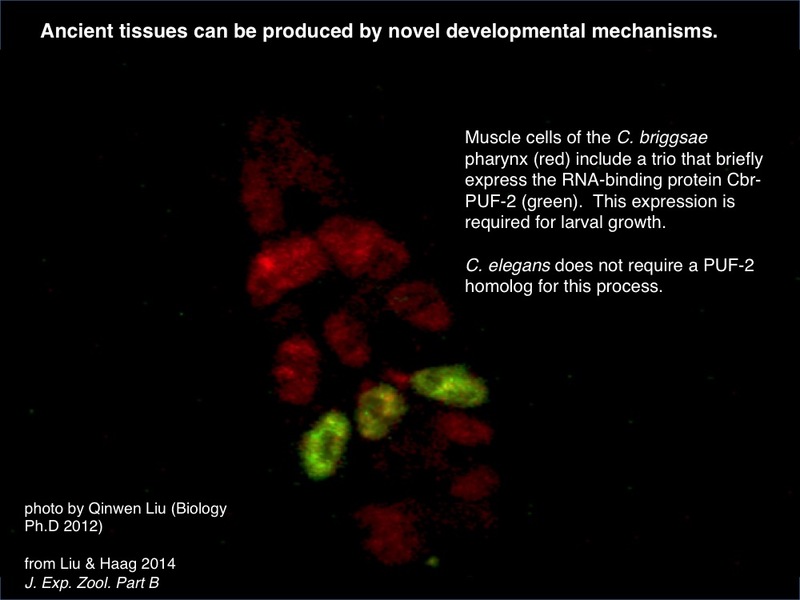 PLoS Biology 12: e1001915. Woodruff, G.C., Knauss, C.M., Maugel, T.K., and Haag, E.S. (2014). 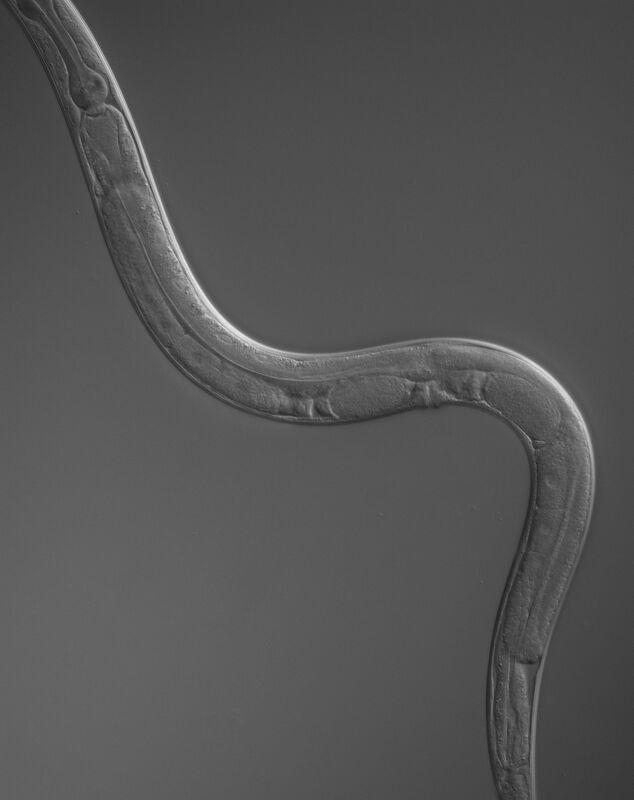 Mating damages the cuticle of C. elegans hermaphrodites. PLoS ONE 9: e104456. Beadell, A.V. and Haag, E.S. (2015) Evolutionary Dynamics of GLD-1-mRNA complexes in Caenorhabditis nematodes. Genome Biology & Evolution 7: 314-335.